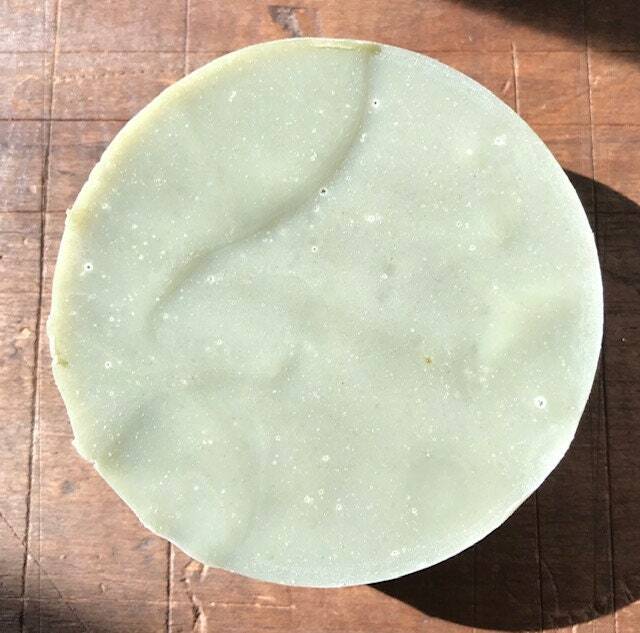 Cleanse & Replenish with this Fresh Goat Milk based Face Soap with Organic Argan Oil, Organic Avocado Oil, Organic Coconut Oil, Organic Hemp Seed Oil, Kokum Butter, Organic Olive Oil, Wheat Germ Oil & Organic Castor Oil. Lightly scented with Organic Niaouli, Grape Fruit, Organic Frankincense & Organic Patchouli Essential Oils all excellent for Skin Care Applications. The French Green Clay will gently exfoliate, helping remove dead skin cells to promote new growth.